What's the wrong Is it a violation or not? on YouTube Copyright law, I am very innocent of this law and sorry for that. I violated the copyright law and was take down my upload animation video and I got a violation notice called "Copyright Strike". And sorry for this, I accept this wrong and I was remove this video in my channel. 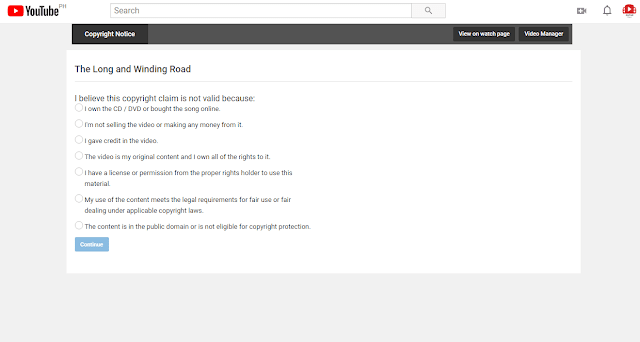 But in my last upload of video on my YouTube channel called "The Long and Winding Road" another take down of my video, another copyright claim of the copyright owner of the song " Hiling (Live) - Mark Carpio. 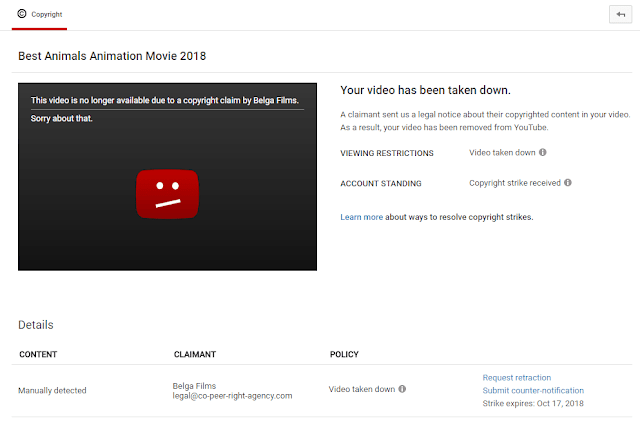 It is said in the notice "CONTENT CLAIMANT POLICY Hiling (Live) - Mark Carpio Sound recording 0:08 - 1:16, play match WMG On behalf of: Mark Anthony Carpio Monetized by the copyright owner, Options: Remove song and File a dispute". Desperately, because I have violated, I click the option Remove song. But before this removal I check first how to file a dispute. But there are no options of the dispute that I can claim that the song background is played on the car stereo FM Station. What I mean here, in copyright law, even a song or a movie played on a device on a car can create a violation of copyright here in our own YouTube Channel. 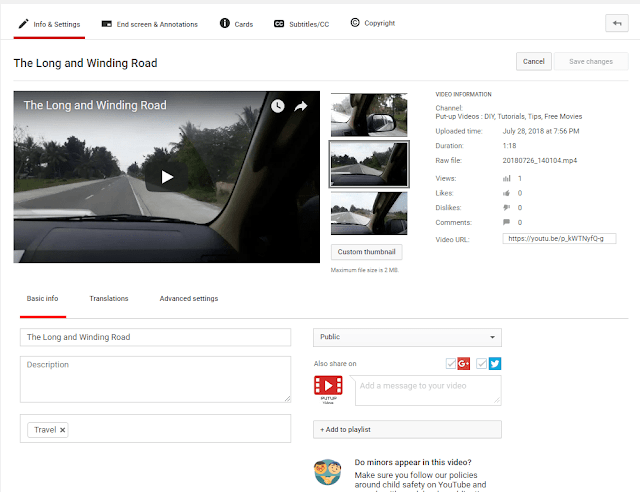 It is a shame on my part that I can see a notice that I'm stealing another video because of a song background during the recording of a certain video. 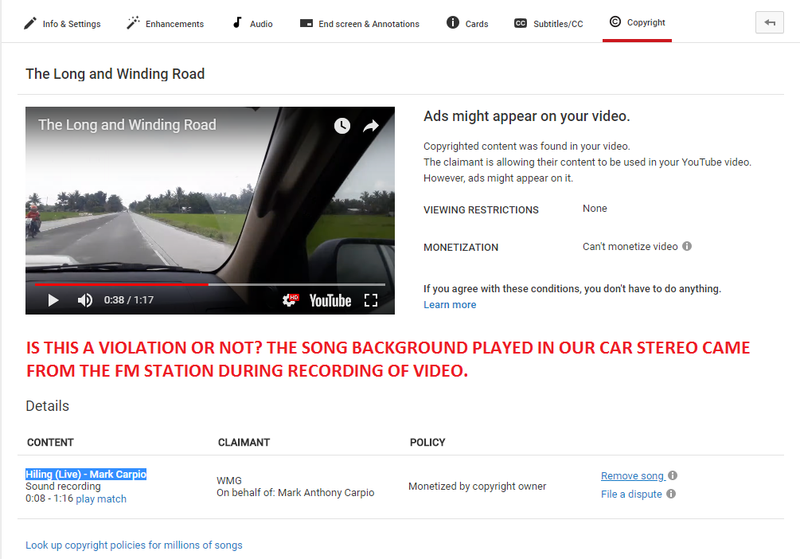 It's played on the car stereo FM Station where I'm riding during recording, then how's this became a copyright claim violation. To the owner who claim the violation, we select the FM Station and heard the song "Hiling" in the name of "Mark Anthony Carpio". We're listening to the song because we like the song played on the FM radio station. So much for the satisfaction of the claimant, I click the remove song as the options. And to satisfy the right and the fulfillment of the law of copyright restricted in YouTubers. I don't understand if this is a violation or not. I hope YouTube can include clearly that even the background or a song played in car stereo FM Station is a violation of the copyright claim. Thank you YouTube and Google.